I will be one of the speakers,ms haring views on trade in the context of democracy, justice and sustainable development. Trade between the EU and ASEAN countries is big – huge in fact, and moves in both directions. ASEAN represents the EU’s third-largest trading partner, with more than 235 billion euro of trade in goods and services. And the EU is by far the largest investor in ASEAN countries. Based on current projections, trade is set to grow even bigger in the coming years. What I want to talk about briefly today is why we cannot view the economic impacts of trade policies in isolation from their effect on political and social development. At its core, trade policy must be “responsible” – responsible to the people, their environment, and their human rights. We know that rising social standards do not come as a direct consequence of job-intensive economic growth – they must be fought for. In some cases, unqualified economic “growth” can actually bring greater hardships, exacerbating inequality and leading to human rights violations. We have new trade deals on the table. ASEAN is about to embark on its Economic Community, to be officially launched in Kuala Lumpur at the ASEAN Summit in mid-November. This is aimed at promoting and facilitating trade and the flow of labor and goods within the ASEAN region. In addition, the European Union has just come out with its new forward-looking trade and investment strategy – turning its focus to Asia. For a long time we have seen ASEAN growing in strength as an economic partnership based around trade. Economic growth is positive. Trade helps boost economies and provide jobs. But what the impact of these developments has proven thus far is that economic development cannot be pursued in isolation. It must be part of a wider development agenda. Trade and economic policies must be developed in accordance with agreed-upon values and principles, and properly assessed for their wider social impact. 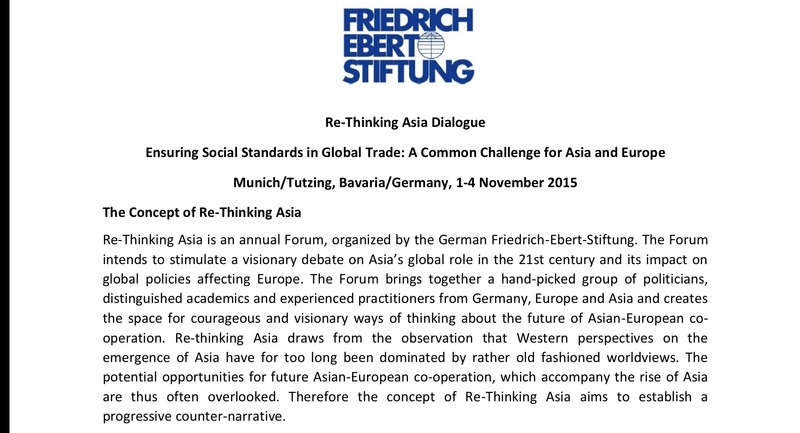 That is something that we have failed to achieve in ASEAN thus far. One of the key questions we are addressing here today is: What is the role of low skilled manufacturing in socioeconomic development? 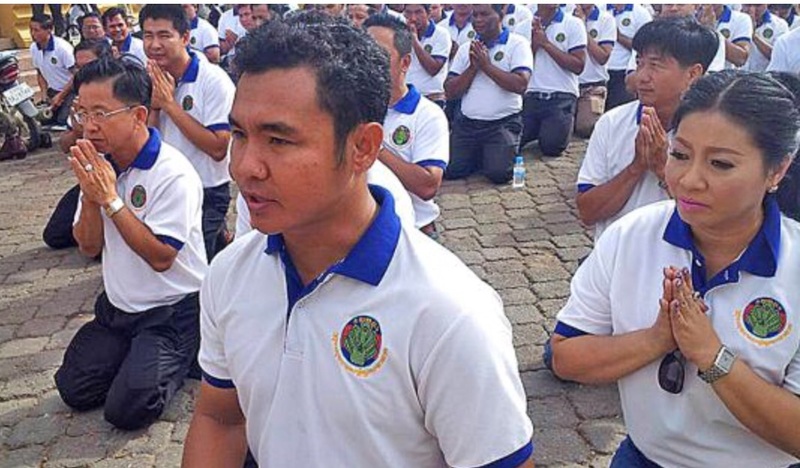 In Cambodia millions of our people are employed in what some economists might term “low-skilled” manufacturing jobs. Our people work in clothing factories, processing plants, and farms. This certainly offers much needed work to many people who have not had the access to education that white-collar workers may have had. In many cases, it offers an opportunity for them to earn and save and to ensure that their children can go to school and university and escape the poverty trap. Unfortunately, however, it’s not that simple. There are many cases of people being exploited and kept in poverty by the system. Labor law violations and other human rights abuses are connected to many of these manufacturing industries. Third world countries seek to offer lower wages to entice manufacturers. When the democratic system, rule of law, and checks and balances are not working, protections for regular people are absent and authoritarian governments and their cronies are the only ones who prosper from such trade. What are other harmful impacts of trade deals and economic policy that emphasize economic development without adequate social protections? Economic development is, of course, crucial to lifting people out of poverty and providing for improved lives and livelihoods. But too often, particularly in my own country, large-scale development projects inflict massive social costs. Some of these costs are unintended, but they are generally preventable if proper safeguards were in place. Among the most prominent of these abuses is widespread land confiscation, which contributes to the destruction of communities, environmental degradation, and loss of livelihoods. In countries like Cambodia, few if any tools exist for ordinary people to raise these concerns or to seek justice for abuses. Impunity reigns for violations like these, as it does in so many developing countries racing to the bottom in an effort to attract foreign direct investment. We must have standards in place. These standards should be enshrined in national legislation in all countries involved in trade relationships. For developing nations, this means ensuring rule of law and establishing mechanisms of recourse for citizens impacted by human rights abuses and corrupt business practices. For developed nations, trade with their developing partners must be conducted within a framework of international human rights standards. What is the responsibility of national stakeholders (government, labor unions, and employers) in ensuring safe and decent jobs in export industries? We have to look internally at how we can implement these standards, while also examining how external actors can support this process. The fundamental responsibility for ensuring labor rights for all workers in a country, whether they are citizens or migrant workers, rests on the shoulders of the government. This fact is codified in international law. States have an international legal obligation to promote, protect, and respect basic rights. They can do so by providing space for labor unions to operate and protect workers’ interests. They can also institute and enforce minimum standards on employers, such as minimum wages, regulations on working conditions, and other labor laws. How can we establish competitive industries in developing countries and simultaneously ensure social standards? How can we move up the value chain? In many cases, employers can be resistant. The global market is driven by profit margins. How can we be competitive if we don’t cut corners? This leads many governments in the developing world, including those in ASEAN, to think: We have to undercut our competing developing nations. We’re all hungry for that holy grail of foreign direct investment. It is not only the responsibility of the manufacturing countries, but also the importing nations, to raise the bar, to factor in other values into trade deals. Companies based in the West must be forced to meet minimum standards, including taking measures to avoid incentivizing human rights abuses as they seek to maximize profits and reduce import costs. And this is where trade deals like the Trans-Pacific Partnership (TPP) come in: They purport to enforce minimum labor standards, but they also take away the power of governments to rule over disputes. This challenges the authority of elected governments, undermining the very principles of the nation-state and of democratic accountability. They empower companies and place them beyond the reach of national legal structures. So how do we establish competitive industries that ensure basic rights and social standards? We support the rule of law and the development of pluralistic democracies. We uphold basic principles and values, including support for fundamental rights. And we empower individuals to elect their own governments and to have influence over the policies that impact them. At the end of the day, it is about developing a coherent policy, that takes into consideration the social and environmental impacts and implications on both ends of the deal. As European Commissioner Cecilia Malmström has said, trade is “not an island.” Yet many governments in ASEAN continue to view it as just that. The biggest battle we face moving forward on these issues is confronting this perception. Our ability to do so is key to our long-term success. Support from our trading partners in Europe and around the world will be critical to to achieving this goal. Election is about showing how your platform is addressing the needs of the voters. When the CPP has nothing better to show but spreading terror through violent demonstrations and violations of the constitution, game is over for 2018. 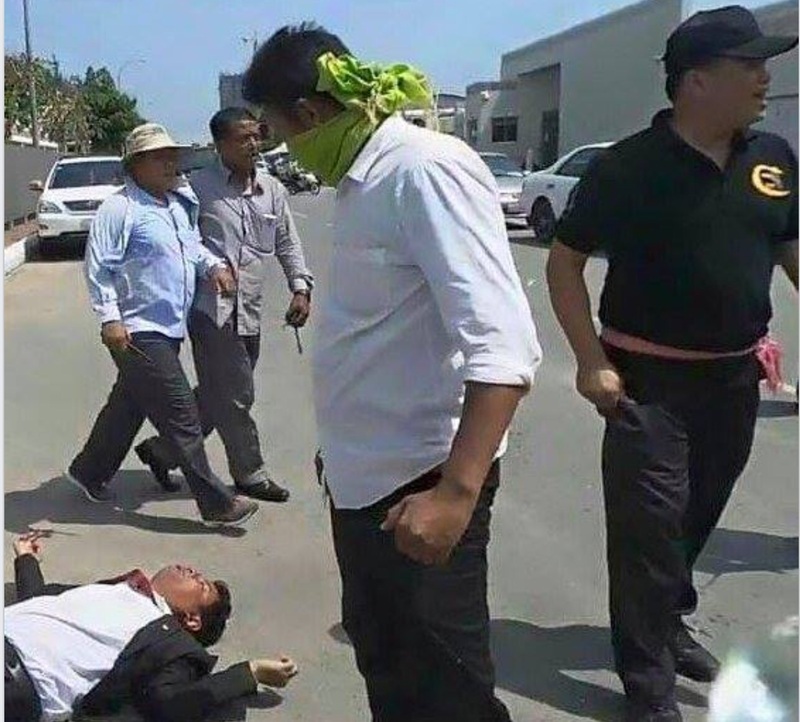 The videos that captured the savage attacks on the two opposition lawmakers went viral and independent media widely covered the news and keep the attack alive through public debates. CPP leaders are too busy watching their own news which is No news. Social media is going wild with facts. 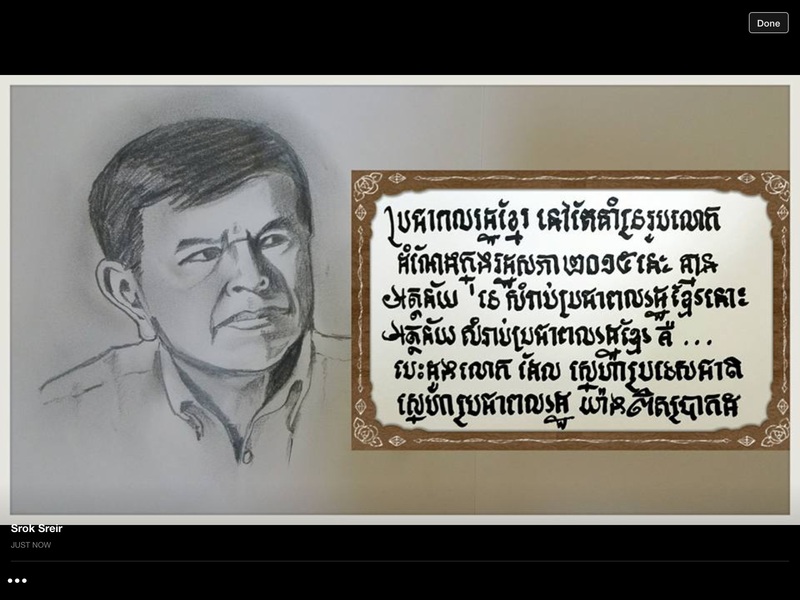 By removing Kem Sokha, the CPP has offered a special gift to CNRP. They should check what people are saying. The question is : who gave the order? That should be part of the investigation. 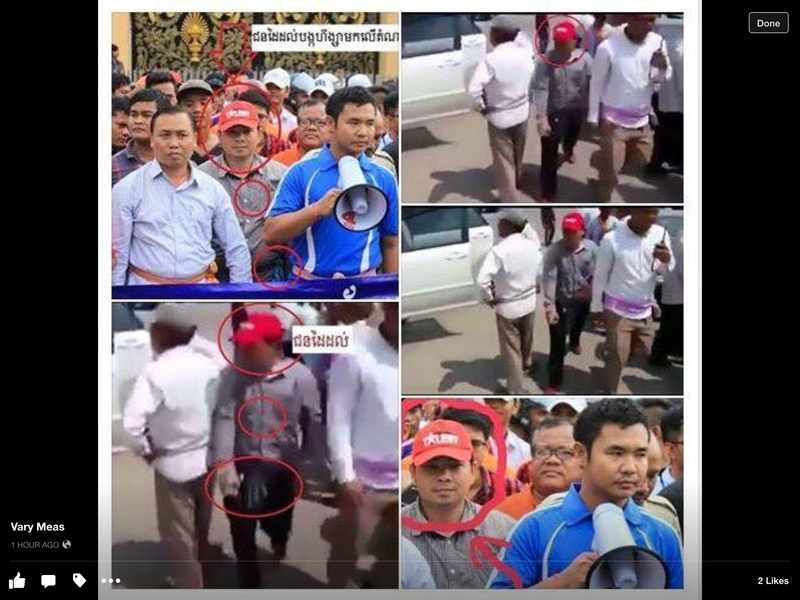 Those who were caught in the act of assaulting opposition MPs as the two lawmakers were leaving the National Assembly at the end of a Planeray session. 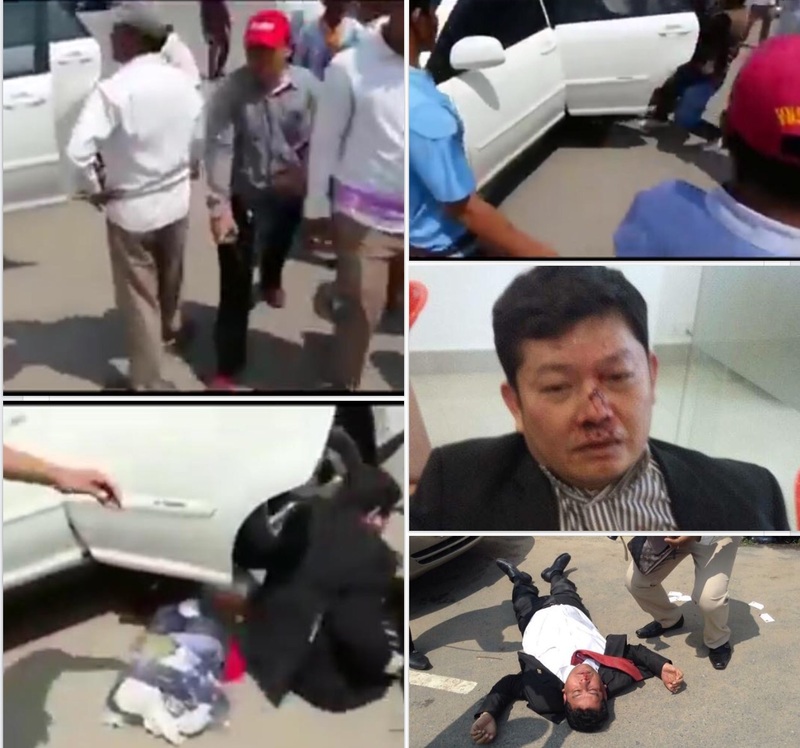 The man in stripes shirt next to MP, Kong Sopheap as he was pulled out of the car three times to be attacked. 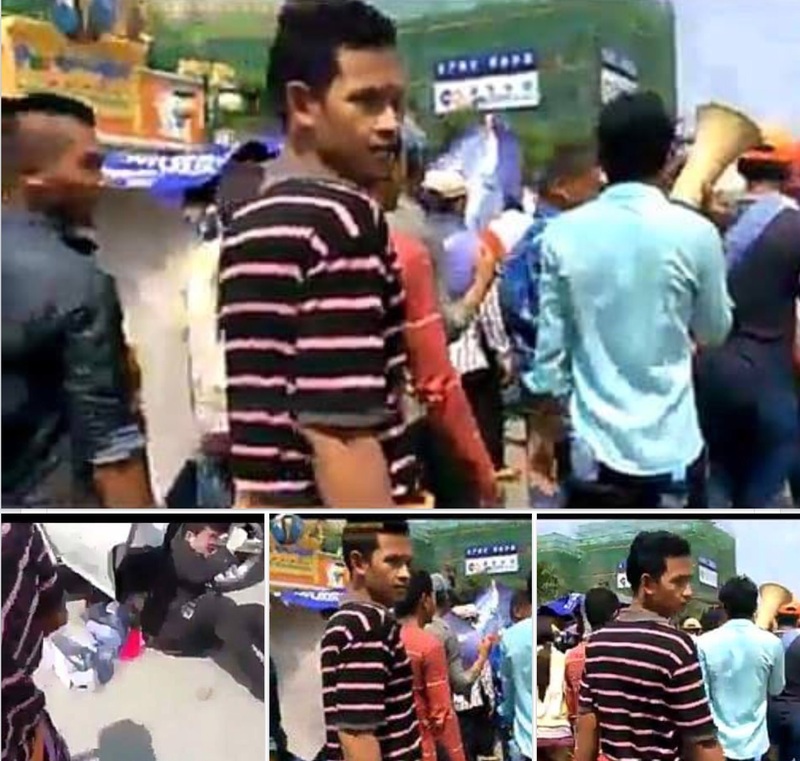 Majority of protesters demanding Vice- Speaker of Parliament, Kem Sokha to step down are from pro- CPP youth movement lead by MP Hun Many, son of prime minister Hun Sen and former pagoda boys known for using violence against government critics and police and city district and commune councilors. As elected lawmakers we must stand together to demand independent investigation. The video is now viral on social media. more than 24 hours have passed and more hours and days will pass with predicted inaction from the government. All evidence is captured on video and many witnesses can testify. 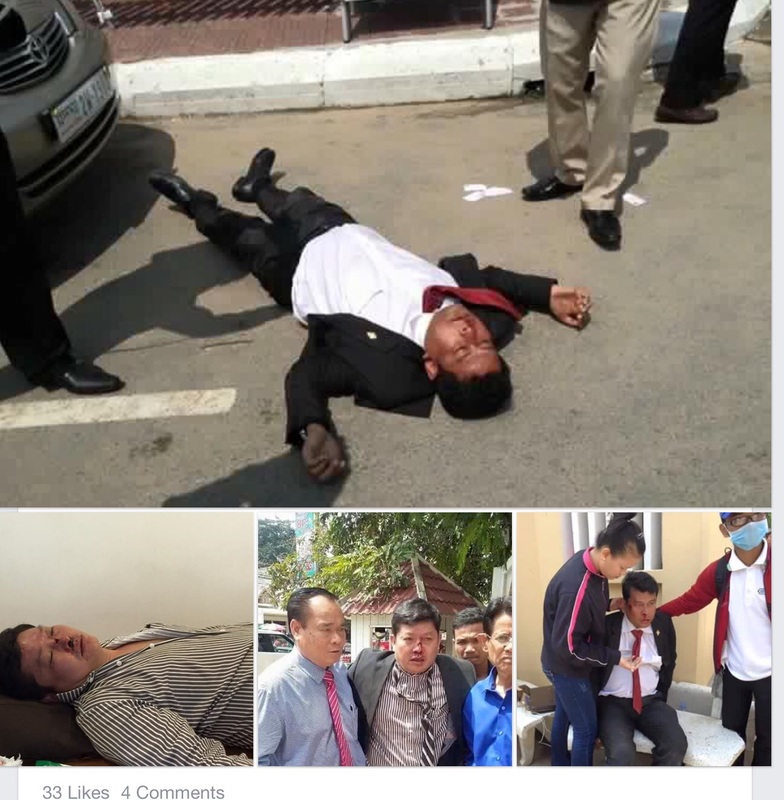 It is a very dark cloud over democracy in Cambodia. 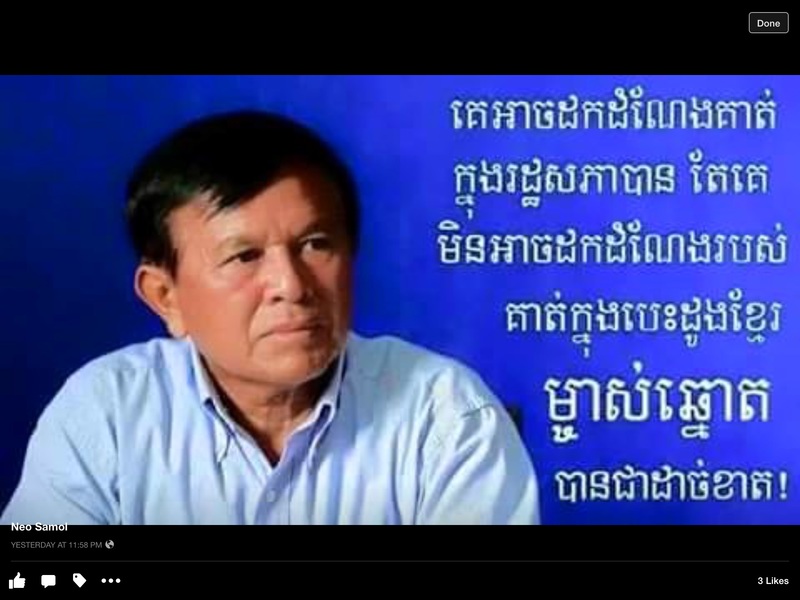 Prime Minister Hun Sen repeatedly says in his speech to Cambodian students in France that he supports the protest. Then he knows the leader of the protest. 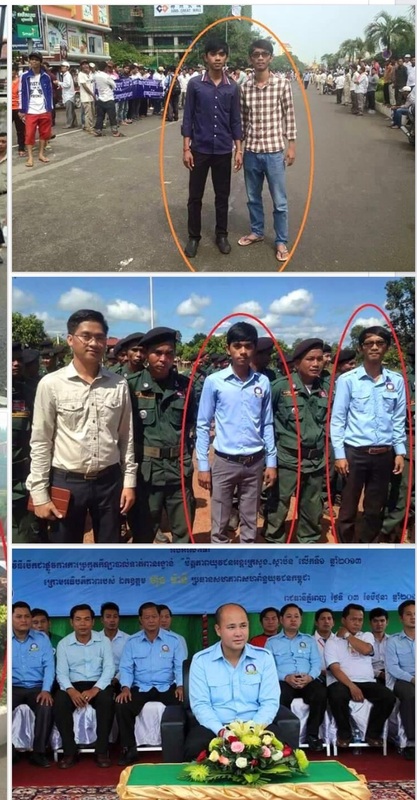 7 opposition MPs were arrested and detained on 15 July, 2014 and charged for insurrection and inciting violence when speaking and calling for non- violence for the opening of Freedom Park. 14 opposition members were also charged, found guilty of the same charges and sentenced up to 20 years. will the leaders of the protest that went violent in front of the National Assembly on 26 October be found, brought to face the law ? The voters are waiting and for the majority, the vote is already cast following the gruesome attack. The U.S. Embassy sent out the statement timely. However, the statement should have been more specific by referring to the official title of the two assaulted politicians. They are full fledged elected Members of Parliament. The statement should have also been specific about the attack: the two MPs were in their official vehicles, coming out of a parliamentary session.